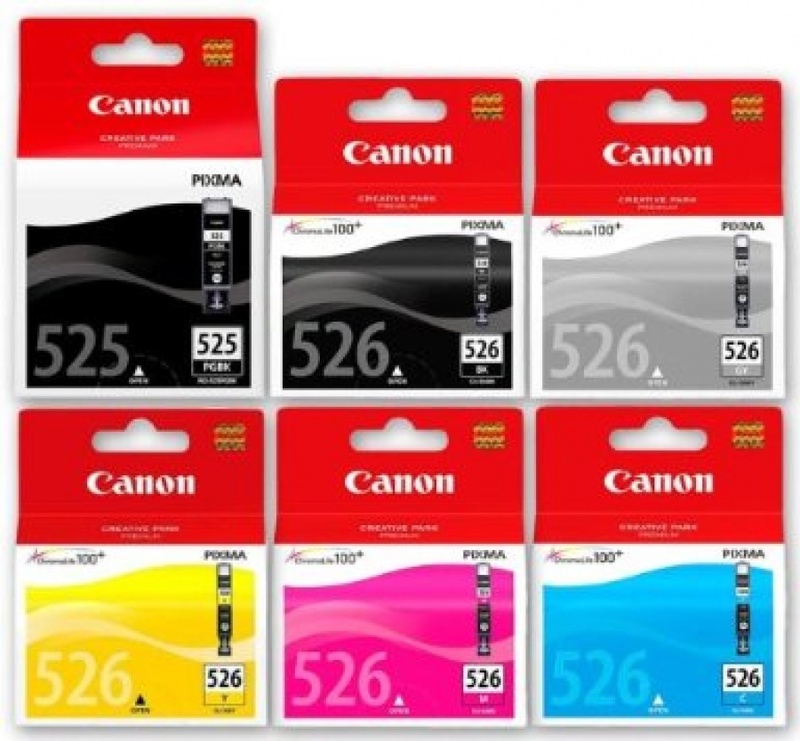 Do you have a CANON PIXMA iP4800, iP4850, iP4950, iX6550, MG5150, MG5250, MG5350, MG6150, MG6250, MG8150, MG8250, MX715, MX885 or MX895? We have exchange refilled and re-set genuine PGi525 and CLi526 cartridges for $10..! Just bring in your empty genuine cartridges - no waiting. We guarantee they will work at least as good as the originals and won't harm your printer. If you just want Genuine cartridges, we have then too - at lower than supermarket prices.